Typically, multiplying two binomials is presented with FOIL. This approach is problematic for two reasons: it is a mneumonic for a purely symbolic representation and it is also an isolated strategy that does not connect well to prior knowledge. 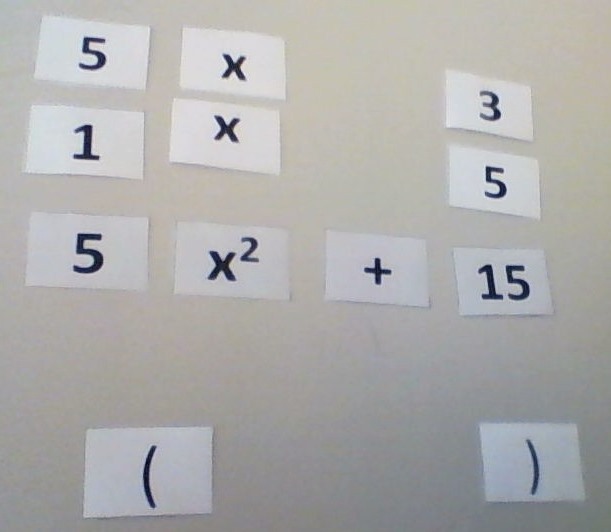 This scaffolded approach is effective because it presents the concept in a different representation, it connects to prior knowledge of distributive property (useful for memory storage) and it is connected to prior knowledge of area of rectangles so it has meaning. Subsequent problems would use the boxes as a graphic organizer (see photo below).